Sit back, relax and enjoy the East Hamptons at this spacious 1-bedroom, 1-bath vacation rental apartment hosting 3 guests. With a large deck, a cozy hammock, a vast yard and shared pool, this home ensures a peaceful getaway. From the beaches and cultural activities, to the plethora of restaurants and shops, the surrounding areas will be easy to explore from this ideally-located property! Upon arriving, you’ll immediately feel at ease in the impressive exterior featuring a vast grassy yard, natural woodlands and a 20-foot by 40-foot swimming pool. Inside, the unit boasts 1,200 square feet of tastefully appointed living space. Skylights open up the home and allow natural light to pour into the architecturally designed Feng shui interior. Unwind in the bright living room and enjoy deep conversation with your travel companions or zone out while you watch shows on the flat-screen TV set up with satellite channels. Make your way across the open floor layout to the fully equipped kitchen and dining area to whip up your favorite recipes. If an al fresco dining experience sounds appealing to you, head out onto the deck, where you can fire up the gas grill and gather around the patio furniture for a cookout in the fresh summer breeze! Swing in the hammock or plunge in the pool to cool off while you wait for the grill master to finish preparing the meal. When you’re ready for sleep, a comfortable full-sized bed awaits you and will ensure many peaceful slumbers. Additional sleeping accommodations can be found on the futon chair, or you can bring your own air mattresses to sleep a total of 3 guests. While you’ll find it easy to relax in the privacy of your serene home-away-from-home, you'll still want to venture out and explore the surrounding areas! Since this property is located within close proximity to beaches, towns and the bay, there won’t be a shortage of activities for you to partake in during your stay. Dine at fine local restaurants, shop 'til you drop at numerous clothing stores and boutiques, enjoy the abundant cultural activities or have a spa day! Take a half-mile stroll to Round Swamp Farms to visit two family-run markets, which are guilty of offering the best farmed produce, creating prepared specialties, and providing the finest local seafood and other fresh ingredients for you to take home and prepare for the group. 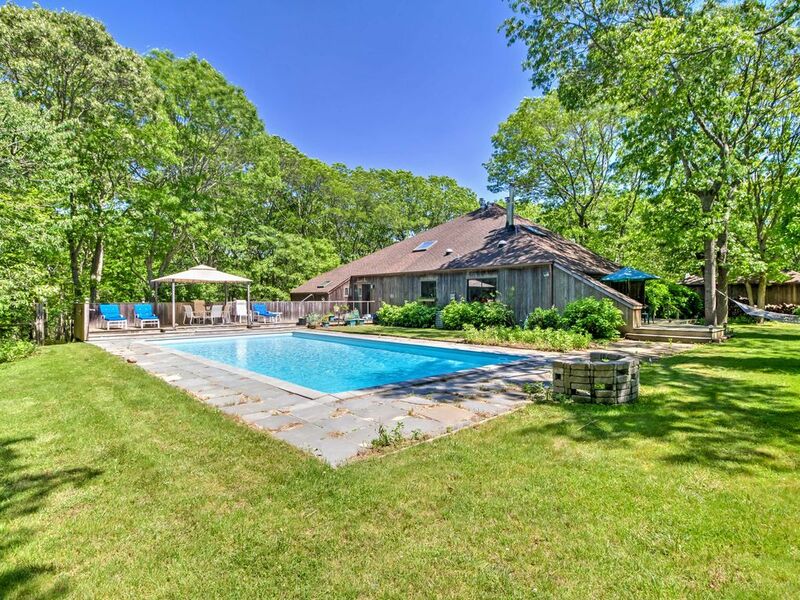 - Amazing East Hamptons location - Enjoy easy access to beaches, restaurants, shopping and farmer's markets! Amazing and lovely studio in an amazing location. Sarabelle was a fantastic host and she is very spiritually connected. Wonderful place, 10/10.